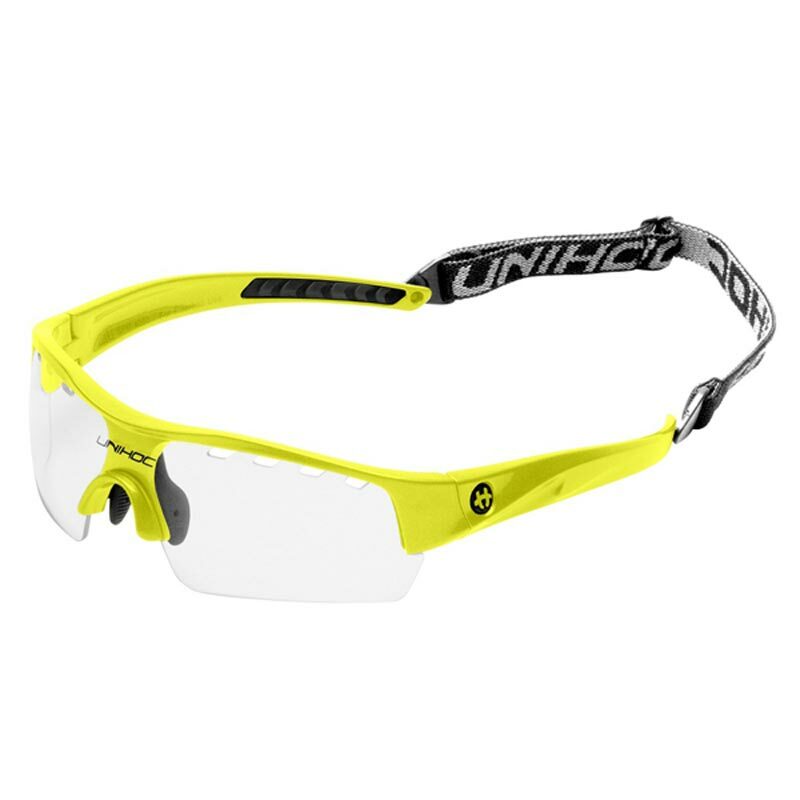 Unihoc Floorball Victory Young Neon Glasses, certified protective Eyewear for an action packed games like Floorball and Squash. Can you imagine a goalie who does not use a helmet? Floorball glasses protect us all to avoid accidents that can be lifelong. Adjustable elasticated strap for comfort and security. Robust, high quality unbreakable polycarbonate lenses. Tested by SP Method 4060 compiled by the Swedish National Testing and Research Institute. Approved by International Floorball Federation. These were brought for my daughter, not for sports but for a medical condition which doesn't allow her to do anything without them on. She has them on from morning til night and loves them, she never complains there hurt. Easy to clean, finger marks come off dead easy. Lovely colour, and even glow in the dark which now she likes she is a superwoman. All around a prefect pair of glasses.